Congratulations to WHS Junior Miranda Todt who recently won a medal and $100 at the New England Northern JSHS which was held at UNH on March 28th. The New England Northern JSHS invites high school students to report on the results of their original research investigations in STEM and compete for scholarships and recognition at university-held regional symposia. 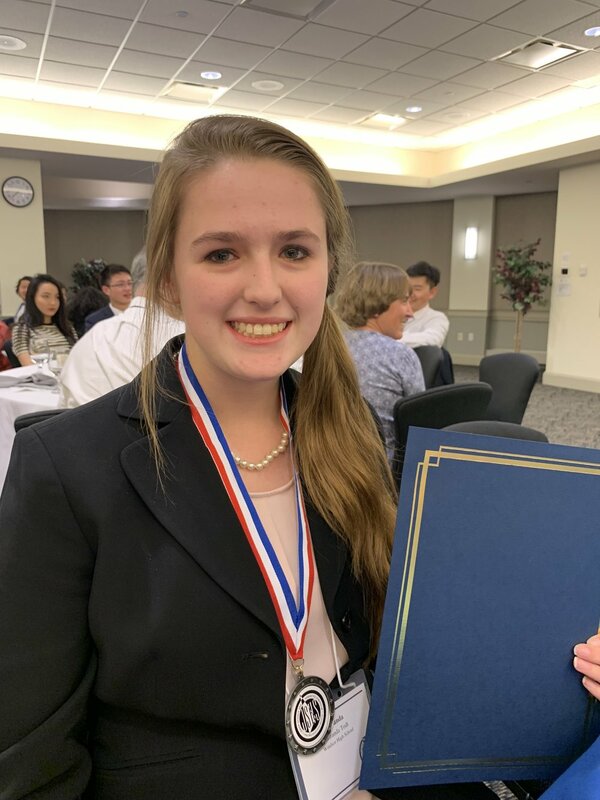 Miranda stated that, "JSHS is an amazing learning opportunity that is empowering for someone who strives to do well in science. I was astounded by the innovative and creative projects of other High School scientists. The realm of science never ends!"